This modest 600 s.f. 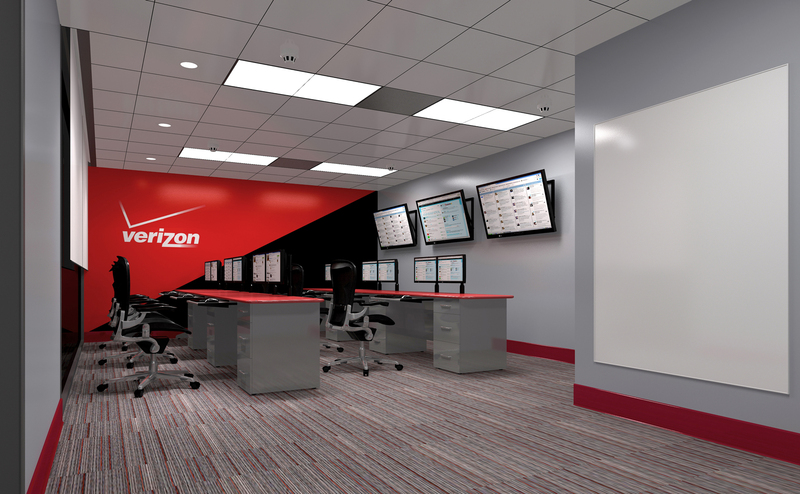 control center facility assists Verizon with the monitoring of internet traffic. In spite of its small size, a significant amount of technical coordination was required to ensure the proper integration of the various systems and related consoles.